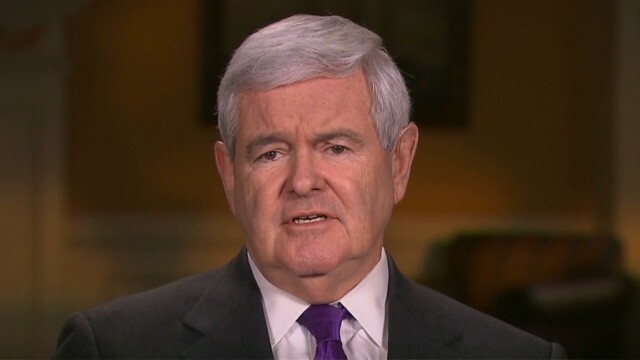 The top 5 things we've learned about Newt Gingrich on "Piers Morgan Live"
Coming up this evening at 9, Piers Morgan heats up "The Grill," welcoming back former Speaker of the House, Newt Gingrich. Gingrich is no stranger to "Piers Morgan Live," having made double-digits visits to the primetime program. His candor and insight have made him a favorite sparring partner for Piers Morgan, in the process helping to secure him his own hosting gig as part of CNN's upcoming "Crossfire" reboot. 2. Newt Gingrich is seemingly no fan of the media either (despite have recently joined its ranks!) Labeling Morgan a member of the "liberal media" during the presidential campaign, Gingrich admitted that he does "wonder sometimes if you guys all get off in a little club and learn a brand new mantra and then all repeat it mindlessly.” Now that he has access to this "little club," how might his opinion change? 4. Newt Gingrich would rather be polarizing than personable. He critiqued Mitt Romney for his civility during the presidential campaign, reminding viewers that the GOP candidate was "not in a competition to be likable, he’s in a competition to be capable." 5. Gingrich has a surprisingly potent sense of humor, as he exhibited in a visit 18 months ago, when likening his own run for office to that of an amusement park ride: “Sort of like 'Space Mountain' in Disney[land], where it’s all in the dark and you don’t know where you’ve been, where you’re going or where you are,” said Gingrich, who would formally drop out of the race two months later. Join “Piers Morgan Live” at 9 for the latest edition of Newt Gingrich on "The Grill." i cant believe you said that to former speaker of the house but it worked well and you pulled it off when you said (old aging white politicians) were a menace to society. good job!